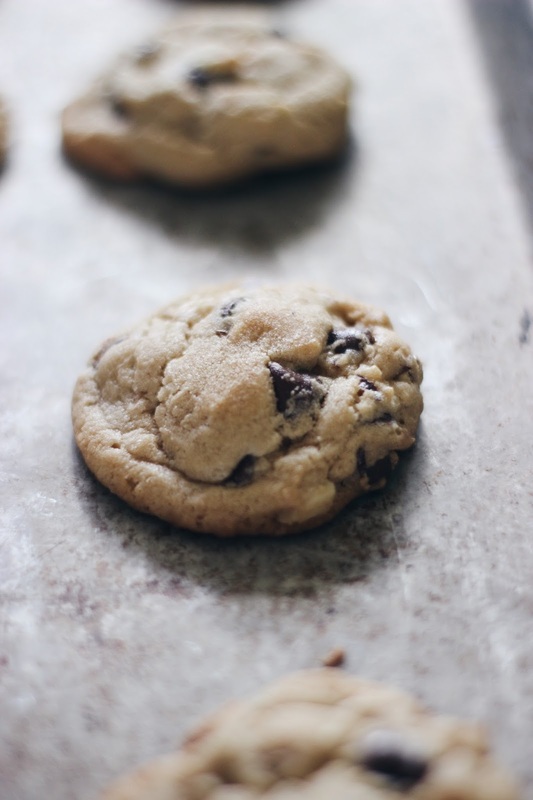 Everyone has their favorite chocolate chip cookie recipe and this one is mine. I've been making it for years and while I've tried many other recipes, I just keep coming back to this one. It's an old Better Homes and Garden recipe from 1963. 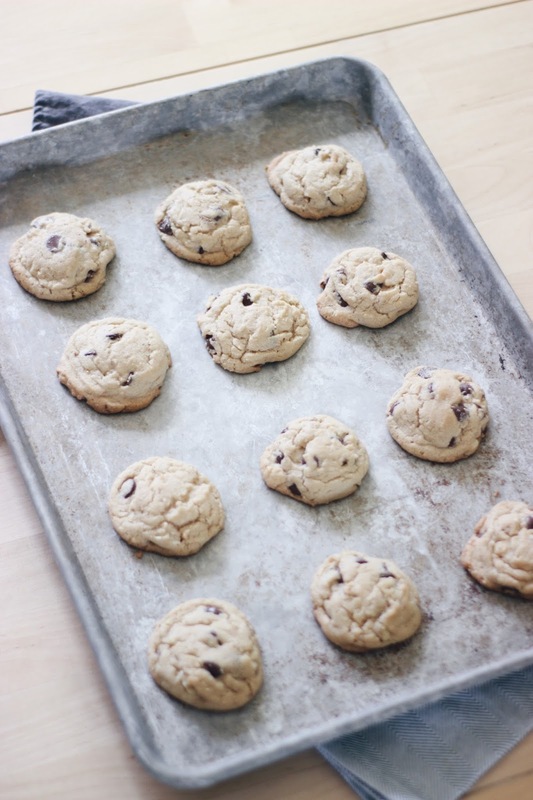 It's a very basic recipe that produces the perfect chewy cookie. 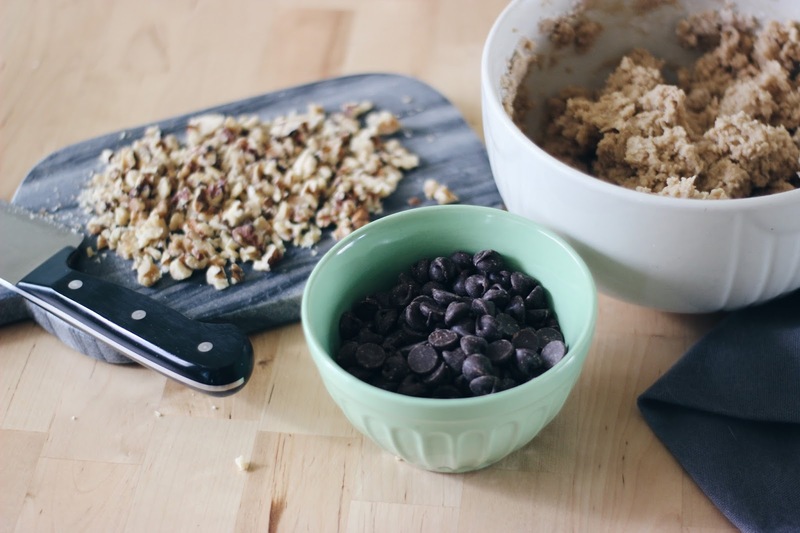 Just the right amount of chocolate chips and chopped nuts. Of course you can omit the nuts if you don't like them, perhaps add more chocolate chips or just omit them altogether. I usually use walnuts because they are my favorite, but use whatever nuts you like or have on hand. The original recipe says to use part butter and part shortening. Now, I've made these with all butter more than I have with part shortening. I personally have no issues using vegetable shortening in my baking, but I know some people think it's unhealthy. I don't really think it's a problem in moderation (as with practically anything). But I have to say, the shortening does make these cookies extra lovely and chewy. 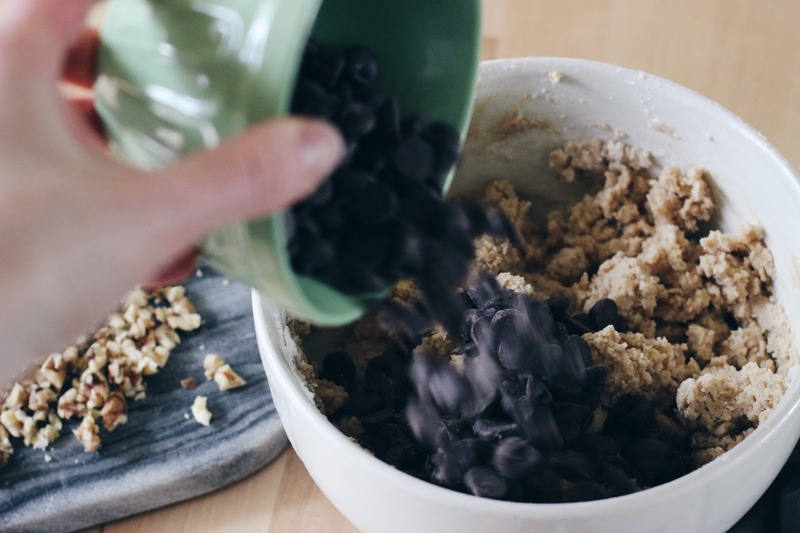 The all butter can make the cookies spread a bit more, which is okay but not really what I look for in my perfect chocolate chip cookie. 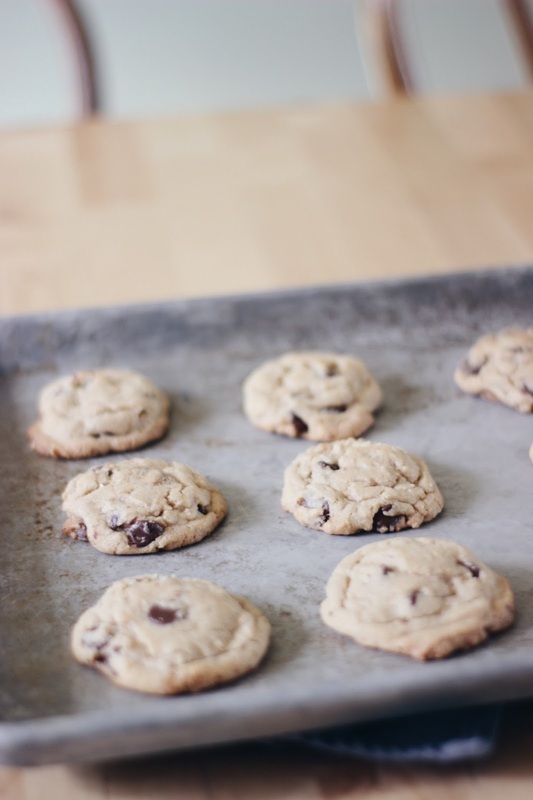 Either way, whether you use all butter or part, I think it produces a lovely cookie. In this batch I added 1 stick butter with the remaining 3 1/3 tablespoons shortening. Even that little bit of shortening made them just the way I like them without sacrificing any flavor. 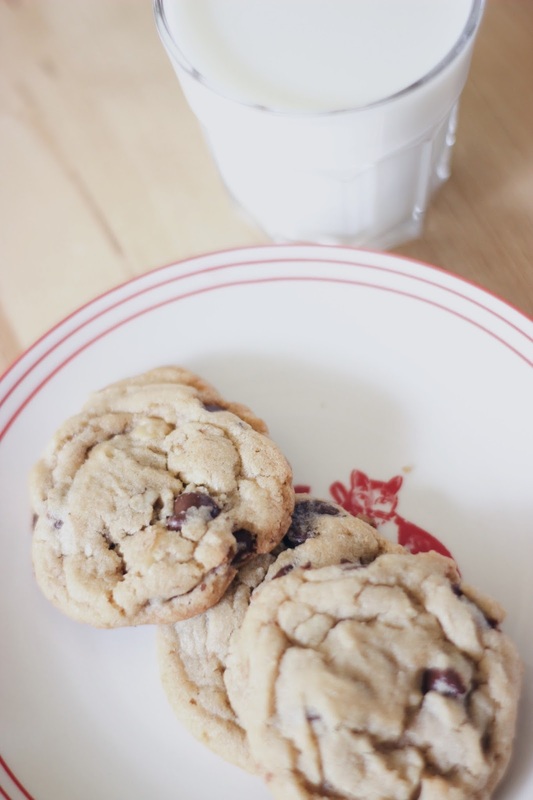 When I make a batch of these cookies, I keep a few in our cookie jar and the rest in the freezer. 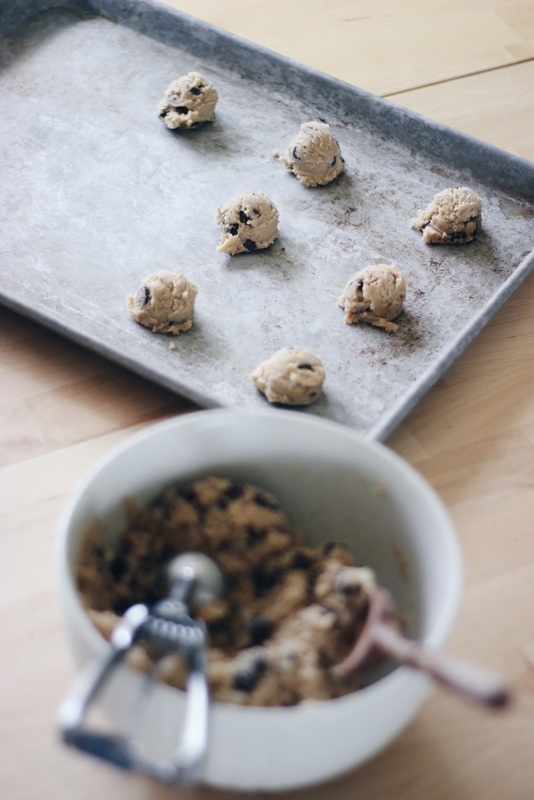 Mom used to freeze balls of cookie dough and then bake them directly from the freezer when needed. That works as well, but I have found they don't spread as nicely when you bake from frozen. So I just bake the entire batch and freeze any I don't think we'll eat in a day or two. 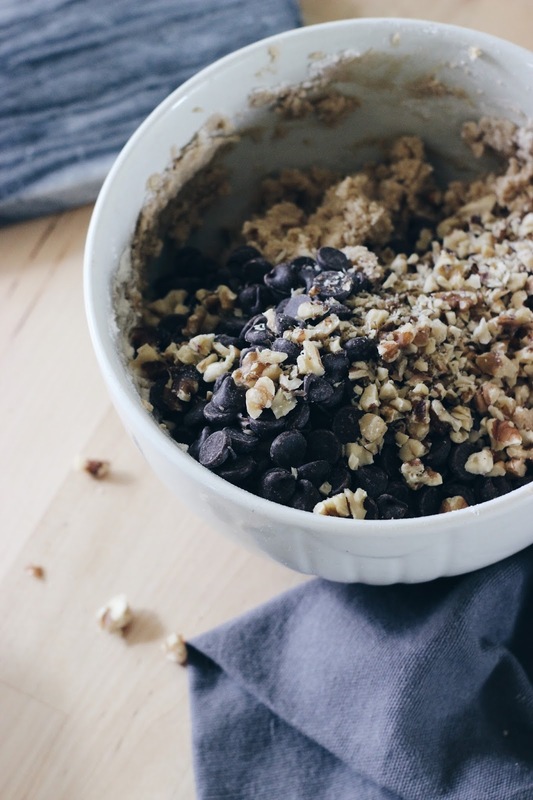 I hope I've inspired you to keep your cupboards stocked with all the ingredients to make these. 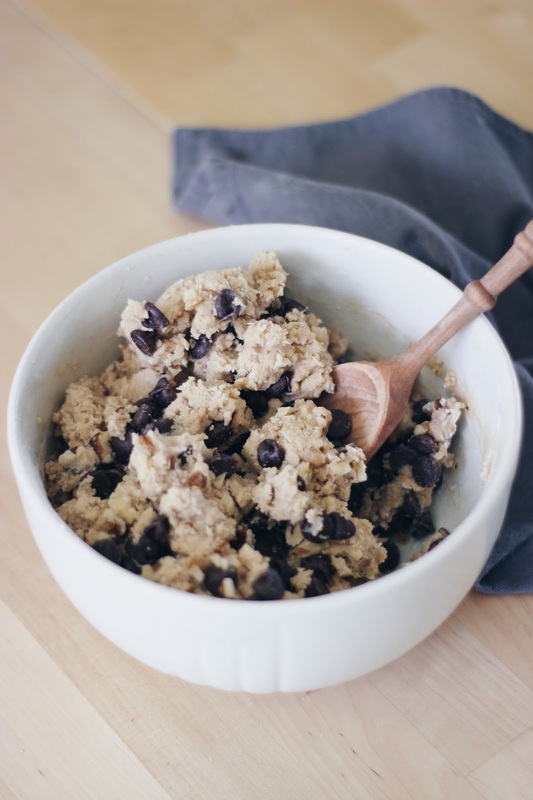 Because you never know when you'll get a hankering for chocolate chip cookies! Pre-heat oven to 375°F. 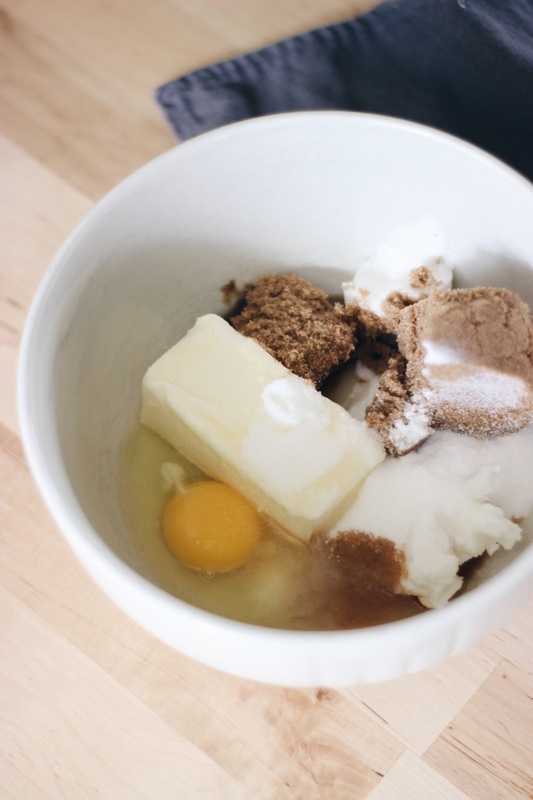 Mix butter/shortening, sugars, egg, and vanilla thoroughly. 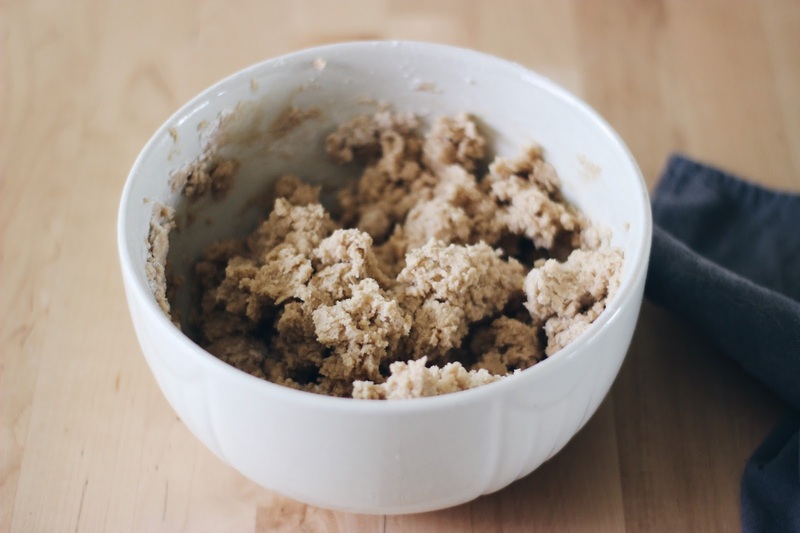 Stir dry ingredients together and blend in the butter mixture until just incorporated (don't over mix). 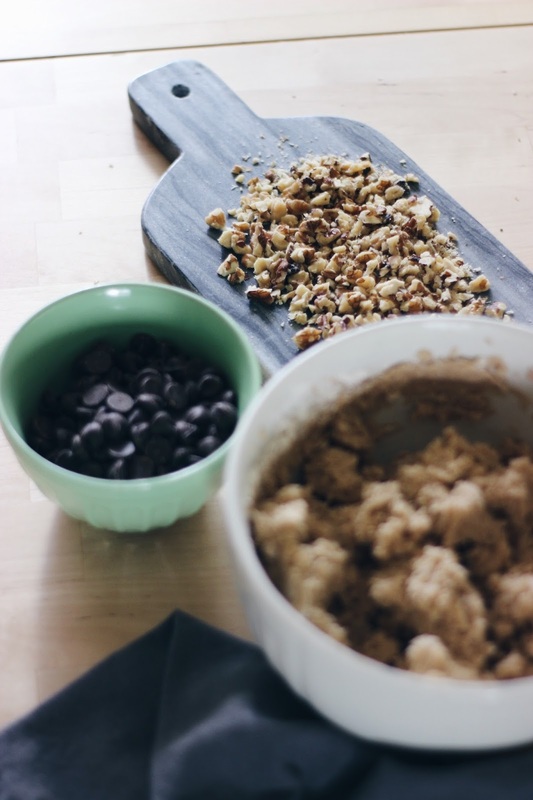 Mix in nuts and chocolate chips. Drop in teaspoonfuls about 2" apart on ungreased baking sheet. Bake 8-10 minutes or until delicately browned. (Cookies should still be soft.) Cool slightly before removing from baking sheet. Makes over 2 dozen (I used a tablespoon cookie scoop).